CVESD's Active Shooter and Other Active Assailant procedure identifies how school sites/individuals should respond if there is an individual or individuals actively engaged in killing or attempting to kill people on campus. In most cases, active shooters use firearms(s), but can also use other weapons. Usually there is no pattern or method to their selection of victims. In the event of imminent danger on campus, the school site should activate Lockdown procedures and go to into “options-based response” (run/hide/fight, escape/barricade/defend, etc.). While we can provide general guidance to our students and staff on what to do during an active shooter or other active assailant event like run, hide, fight or escape, barricade, defend, we know that every situation is different, so we train people to understand they have options. We train our staff to Think, Communicate and Mobilize. Think about the best course of action, communicate that action to those around them and get everyone to mobilize. While training and holding drills/exercises for active shooter and other active assailants is important, it is equally important to deter and detect possible threats in order to prevent them from happening. CVESD Active Shooter and Other Active Assailant Response Training includes extensive discussion on how to deter and detect individual(s) who may be planning a violent event. Safety and security is everyone’s responsibility, and we remind staff, students and parents if they see, hear or smell something to say something! CVESD has adopted the standardized language and processes for Lockdown, Secure Campus and Shelter-In-Place created by the San Diego County of Police Chiefs’ and Sherriff’s Association and San Diego County Office of Education. Our staff receive training and conduct drills/exercises on each of these throughout the year. LOCKDOWN is initiated to isolate students and school staff from danger on or near the campus when movement within the school and within rooms on the campus might put students and staff in jeopardy. LOCKDOWN is used to prevent intruders from entering occupied areas of the buildings. SECURE CAMPUS is implemented as a precautionary measure to ensure the safety of students and staff when there is danger in the surrounding community or a bomb threat is made against the school. 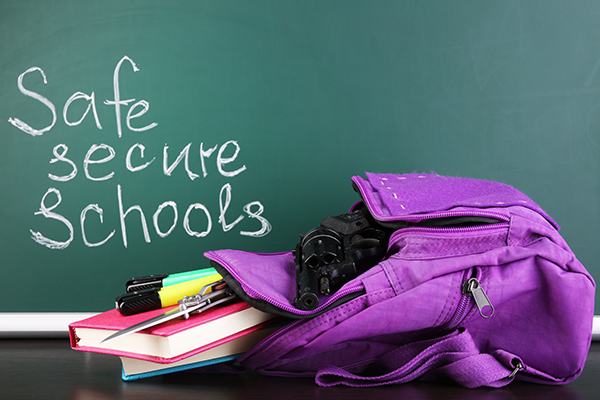 SECURE CAMPUS requires that all students and staff take shelter in school buildings and lock all exterior doors. Classroom instruction and/or activity may continue as long as all classroom and office doors are locked and all students and staff remain inside through the duration of that event. The school perimeter should be secured. SHELTER IN PLACE is implemented when there is a need to isolate students and staff from the outdoor environment to prevent exposure to airborne contaminants. The procedures include closing and sealing doors, windows and vents; shutting down the classroom/building heating, ventilation and air conditioning systems to prevent exposure to the outside air; and turning off pilot lights. SHELTER IN PLACE allows for the free movement of staff and students within the building, although one should not leave the room until further instructions are received. Those in bungalows and buildings with exterior passageways must remain in the classroom while SHELTER IN PLACE is instituted. It is appropriate for, but not limited to, gas leaks, external chemical release, bomb threats and hazardous material spills.